Author svalentePosted on August 28, 2015 Categories Christian Roots, ChristianityLeave a comment on This Torah Thing…How’d That Happen? Last night I was thinking (yes, I still think lots of thoughts, I just don’t always share them) about the Azazel goat (first mentioned in the current Torah portion—Leviticus 16). The sin of the Israelites was symbolically placed on the head of the Azazel goat, and then that goat was forcibly driven from the camp. Because Yeshua is our High Priest in the Heavenly Tabernacle, and because we have received atonement through His sacrifice, we are no longer intimately familiar with the Yom Kippur rituals and the casting out of the Azazel goat. This, our forgiveness through Yeshua, is a beautiful thing that should never be taken lightly. But because we are not familiar with the yearly physical ritual, the picture, the earthly shadow cast by the spiritual reality, because we can’t see it leaving, we sometimes open the gate and let that damned goat right back in. I’m the kind of person who can tangibly feel her sins following her around. I often hear goats bleating in the middle of the night. It’s fairly easy for me to forgive other people; the Father has been gracious to teach me. I’ll admit, though I’ve grown in this area over recent years, I still struggle when it comes to forgiving myself. Some people get away with murder. But I never get away with anything. Case in point, I can still remember that terrible day when I showed up to my private high school in faintly pinstriped pants (almost the required “solid color,” but not quite). Would my rebellion go unchecked? Nope. Why? Because I never get away with anything! For a long time I have lived with the consequences of my sins as though my sins were not yet forgiven. But does forgiveness mean a lack of consequences? Does consequence mean that the goat has come back, or is discipline simply another matter? If I ground my daughter for playing games when she was supposed to be taking a test, is she forgiven when she says she’s sorry (and I say that I forgive her) or when her grounding is over? Of course, I forgive her as soon as she asks. And sometimes, sometimes, I will cancel the consequence because I’m Mom and I do what I want. But what if I did that every time? Would that be in her best interest? In II Maccabees, chapter two, the writer details the horrible defilement that happened to the Temple and the Jewish people around 167 BC. It’s hard to read, especially if you love God’s law. And no, Maccabees is not included in the Protestant cannon of Scripture, but it is historically important (in my opinion). After the writer speaks of the persecution of his people, he says something I find to be extremely profound, especially in light of Genesis 15:16. In other words, God’s people never get away with anything. And this is good. Someday His fist will come down and He will say “Enough is enough!” He waits for the wicked to reach the full measure of their sin; someday He will destroy them completely. Thank God He does not deal with His own people this way. If you’re living in a season of discipline, as I often feel I am, do not misconstrue His chastisement as a sign of wrath or unforgiveness. The goat is long gone; let it die in the wilderness where it belongs. But be thankful for His mercy that often comes in the form of discipline, because He loves us too much to leave us as we are. The weekend before last my parents took us out of town to see the kids’ cousins. We all had an amazing time. It was exactly the kind of weekend I used to carefully document in photo-filled blog posts. Kids, on the other hand, they like hotel fish. And the boxes the presents come in. The last time we took pictures at the Colorado Springs zoo, Miss C bonded with the monkeys. As you can see, not much has changed. 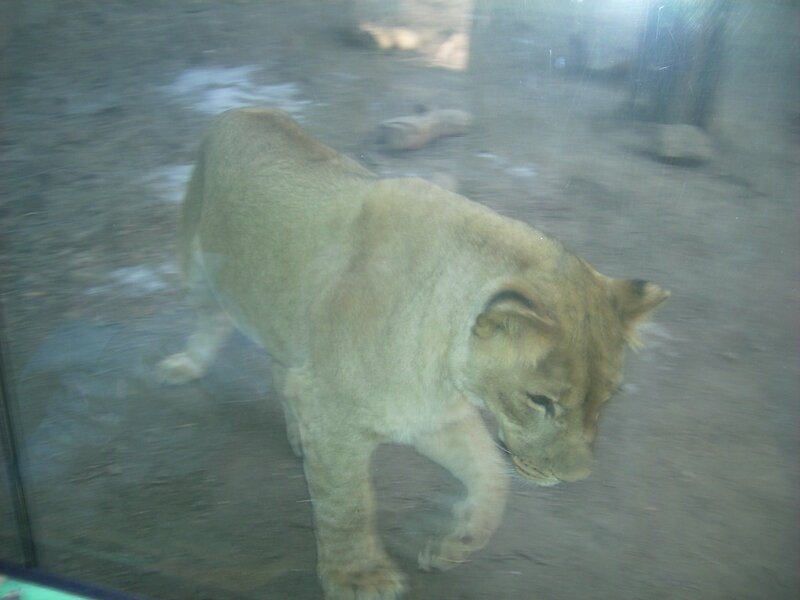 Last time we were there these lions charged the glass and tried to eat Mr. G. This time, no such luck. Oh wow. Lookie there. I did used to do my daughters’ hair! Yes, he is punching the elephant in the leg. Don’t ask. I don’t know. He really, really wants a pet monkey. He really wants *this* monkey. 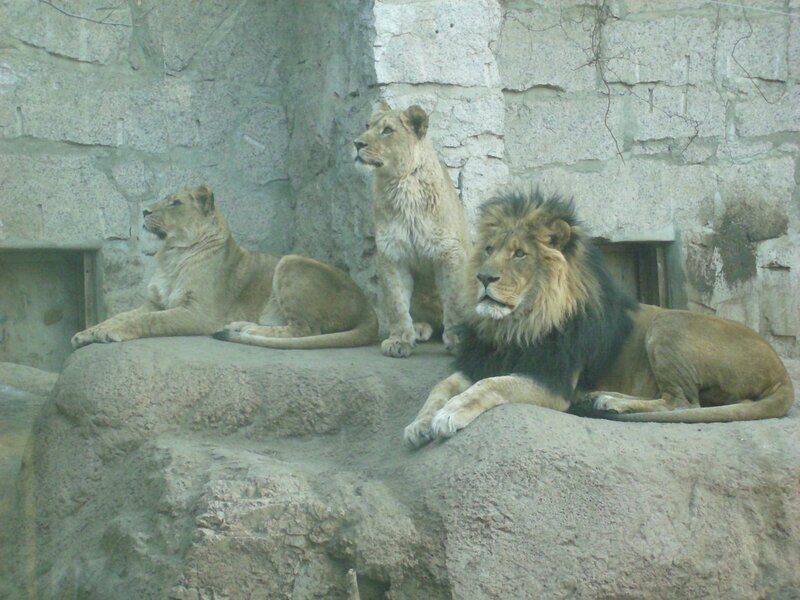 Juuuust chillin’ at the zoo. “Arggggg!” says the funny, pirate cat. It was a weekend of sugary breakfast eating, happy hour hanging, game room playing, elevator riding, crowded pool swimming, slide sliding, ice cream eating, birthday partying, zoo hiking, mall walking fun. We might just have to do it all again! For the past few weeks I’ve been looking again at Abraham’s story. I love Abraham. And I mean him no disrespect, but I love how intrinsically flawed he was. He wasn’t like Noah. The dark splotch on Noah’s record is a night of I-am-literally-alone, loneliness induced drunkenness. Are you gonna say you blame him? But Abraham, Abraham was a witness at his own wife’s wedding–twice–just to save his own skin. That’s pretty hard to live down. And the way I read it, Abraham prayed the way for the Ammonites and the Moabites. He begat a family feud (though we can blame that one on his wife). These are immensely consequential bad days. Though, of course, God had a plan for all of the bad days. Despite what might look like a marred record, Abe lived a life of unimaginable faith. Abraham died without seeing the fulfillment of all that God had promised, but he died still knowing he would see it one day. Faith, not miraculous blessing, is what Abraham’s legacy boasts. Abraham’s testimony is faith for the journey; it is not the destination. If I ever get the chance to really sit down and talk with Abraham, I don’t want to hear about the day Isaac was born–not right away. And it’s not that I don’t hold tight to the pertaining promise, but there are other things I want to know before I ask about the ram in the thicket. I want to hear about that long, grueling walk to the top of Mount Moriah. I want to hear about the day he told the king of Sodom to take a hike. I want to know what was going through his mind as he readied servants to fight kings. I want to hear about the years he spent waiting for Isaac. I want to hear about Ishmael; I want to know all about Ishmael. And I want to hear about the day he sent Ishmael to wander away. So please, stop. Stop telling me that God is good because of how He’s said yes to your prayers. It makes a great story: how He saved you from the fiery furnace. What makes it a true, lasting testimony is that He strengthened you to stand in the flames. Yes, God gives us good things, and of course we should tell people about them; but the goodness of God is not defined by what He gives us. Judging God by His blessings is like judging an earthly parent by the birthday presents they give. Good parenting is made in moments of disciplining, teaching, training, and late-night heart-to-heart talking. Presents are just a bonus. So if you’re one of the few still stumbling upon my old posts and gleaning encouragement from my testimony, please glean encouragement from this: I still believe every word. I’m still standing (usually smiling) and trusting. God is good–all the time–in sunshine and in rain. We got a head start on the “Tents up! Tents down!” project from this Shabbat’s lesson. Enjoy! And make sure to take pictures of your version of Abraham’s journey. We can’t wait to see them! …and cutting a hole in the center. For the structure, first we tried tying craft sticks together (two and two, tied at the “x” and then all four tied together). This is not as easy as it looks. Ha. Three pencils (using the erasers to hold them steady) worked better. Make sure to wrap a string or rubber band around the bundle to keep the tent from collapsing. We even resorted to hot-glue (which worked really well). It doesn’t make the tent as portable, though. We spent the majority of our time folding paper into tents. This worked best (especially for the younger ones)! The paper tents are portable and perfect for the lesson! The result was hours of fun! Author svalentePosted on October 30, 2014 Categories HomeschoolingLeave a comment on Tents up!